In 1988, Charlotte is ready to turn 16 and finally have some independence. She also longs to have a steady boyfriend, and when handsome new guy, Brock, comes to town, she thinks he is just the one she has been looking for. But, a jealous ex has other plans and he keeps disrupting her dates making it hard for her to find any happiness. 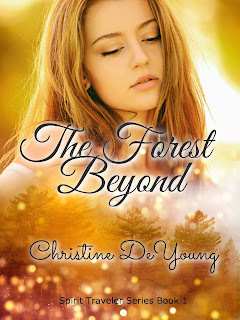 One day when she is walking with her dog in the forest, she has an out-of-body experience. Her spirit travels back in time into the body of a Native American girl named Indigo. When she meets Indigo's soon-to-be husband, Stomping Bull, she quickly falls in love. As she goes back and forth between Charlotte's life and Indigo's life, it gets harder for her to decide which life she wants to live. Which life will she choose? Which one will be safer?